Greenly is a landscape company specialising in rooftop gardens, vertical gardens and other biophilic structures. We design, construct and maintain landscapes and provide consulting services for the feasibility of landscapes. Great design ensures a great end result. We will take your project through our design process and work with you to bring your ideas to life. Native plantings in vertical garden for residential client. 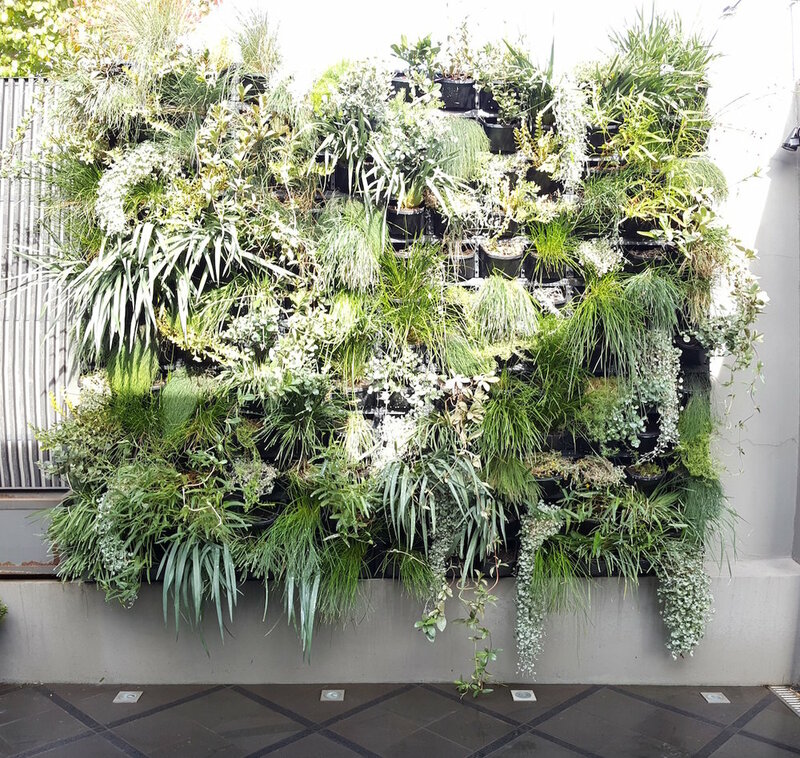 Greenly constructs vertical gardens and rooftop gardens. We can deliver a design created by another designer or design, construct and maintain. We can work with your preferred contractors or collaborate with others within our network. We deliver high quality work in a safe and environmentally friendly way. Greenly maintain ground level, vertical and rooftop gardens. Whether your garden is in need of a quick spruce up or a complete overhaul - we can get it done!